securityaffairs.co - The huge trove of Facebook user data was amassed and stored online on unprotected cloud servers by third-party Facebook app developers. securityaffairs.co - The OceanLotus APT group, also known as APT32 or Cobalt Kitty, leverages a steganography-based loader to deliver backdoors on compromised systems. securityaffairs.co - Cybercrime without punishment: experts at Group-IB issue a new report on JS-sniffers that infected 2440 websites around the world. securityaffairs.co - The Georgia Institute of Technology (Georgia Tech) announced to have suffered a security breach, up to 1.3 million people have been impacted. securityaffairs.co - Security experts at Zscaler discovered that threat actors are using hidden “well-known” directories of HTTPS sites to store and deliver malicious payloads. Cyber Defense Magazine – April 2019 has arrived. Enjoy it! securityaffairs.co - Cyber Defense eMagazine April 2019 Edition has arrived. We hope you enjoy this month's edition...packed with over 140 pages of excellent content. securityaffairs.co - Security expert discovered thousands of unsafe Kibana instances that are exposed online, the news was first reported by colleagues at THN. 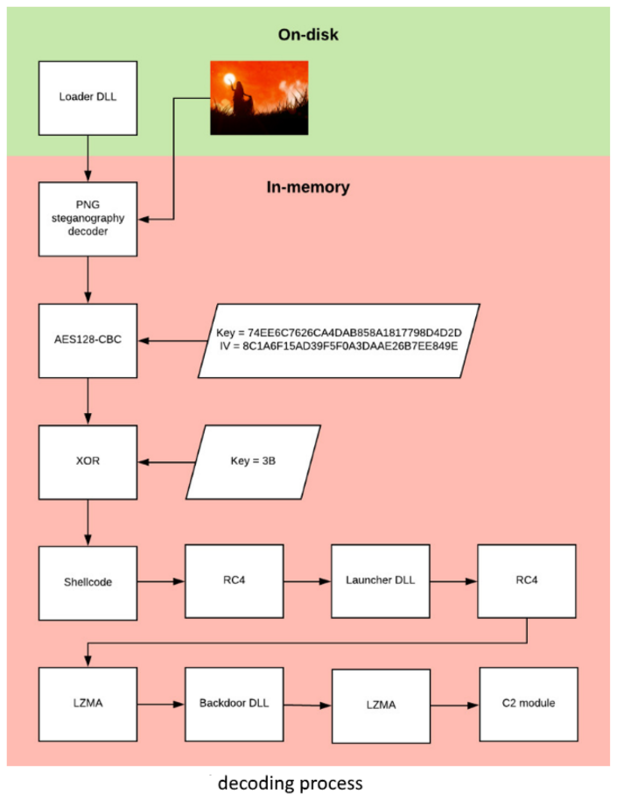 securityaffairs.co - Cybaze-Yoroi ZLAB malware researchers decided to use the NSA Ghidra suite in a real case study, the analysis of the AZORult malware. securityaffairs.co - Another ransomware attack made the headlines, this time the victim is the City of Albany, its computer systems were infected with the malware. securityaffairs.co - The phone of the Amazon chief was hacked by Saudi Arabian authorities interested in access to his personal data, revealed the investigator hired by Bezos. securityaffairs.co - Last week, Earl Enterprises admitted having suffered a payment card data breach from tens of its restaurants over a period of 10 months. securityaffairs.co - Popular expert unixfreaxjp analyzed a new China ELF DDoS'er malware tracked as "Linux/DDoSMan" that evolves from the Elknot malware to deliver new ELF bot. securityaffairs.co - VMware released updates to address vulnerabilities in vCloud Director, ESXi, Workstation and Fusion products, including ones disclosed at the Pwn2Own 2019.
securityaffairs.co - Experts at Skylight Cyber released the list of 600 MAC addresses used threat actors behind Operation ShadowHammer to target ASUS customers. securityaffairs.co - A new round of the weekly SecurityAffairs newsletter arrived! Every week the best security articles from Security Affairs free for you in your email box. securityaffairs.co - Microsoft this week announced that it had taken control of 99 domains used by an Iran-linked APT group tracked by the company as Phosphorus.